You are here: Home / A Day in the Life / Negativity can’t thrive …. 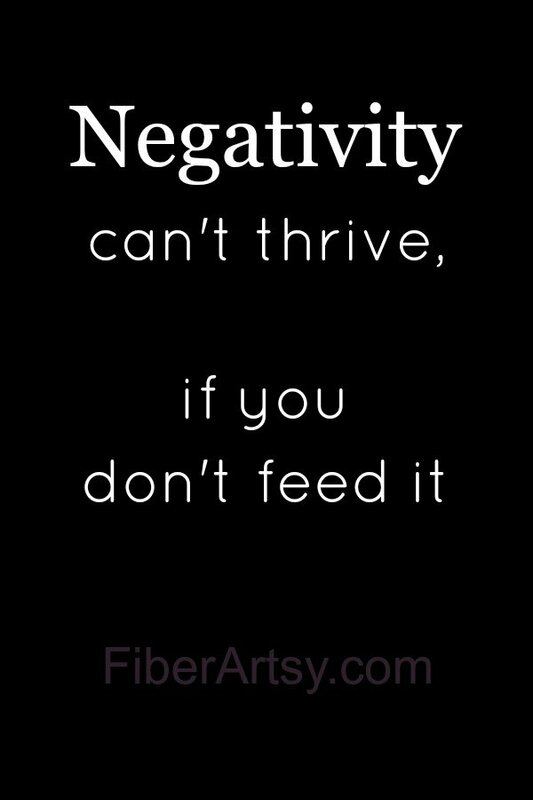 Negativity can’t thrive, if you don’t feed it! Is it just me or does it seem like negativity is everywhere these days?? Even some seemingly positive messages are really just passive-aggressive negativity posing as empowerment. What’s up with that?? Most of you are probably on the major social media networks, as I am as well. Have you noticed all of the gloom and doom! So many ugly messages whether political, military or personal. Do we really need that? I know that I don’t! I’m not saying that life is all kumbaya and unicorns. Life doesn’t work that way. I don’t think we were put here on earth for everything to be easy-peasy. What would be the point? But I know from personal experience that when you wallow in negative energy, guess what you get? More Negative Energy! As the saying goes, Haters are gonna Hate. So let em! But for your own well-being, just scroll right past all of the garbage and try to focus your energy on being positive. It really does make a difference. I think you are spot on with this post! Life has difficult moments, but there is so much to be grateful for. Concentrating on the negative things, just makes it harder to see the positive aspects.